The beautiful town of Kudat lies on the northern tip of Borneo Island. It serves as the administrative center for the Kudat division which includes the towns in Kudat-Pitas, Kota Marudu, as well as some offshore islands. 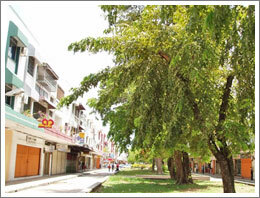 Kudat is inhabited mainly by the Rungus ethnic people - a sub-group of the indigenous Kadazan native. The town was founded by A.H. Everett of the British North Borneo Company on December 7, 1881 to be the first capital of British North Borneo due to its strategic geographic location. Kudat is famous for its Rungus longhouses, traditional gong-making villages, and the Tanjung Simpang Mengayau - the northernmost point on the island of Borneo, better known as the Tip of Borneo.